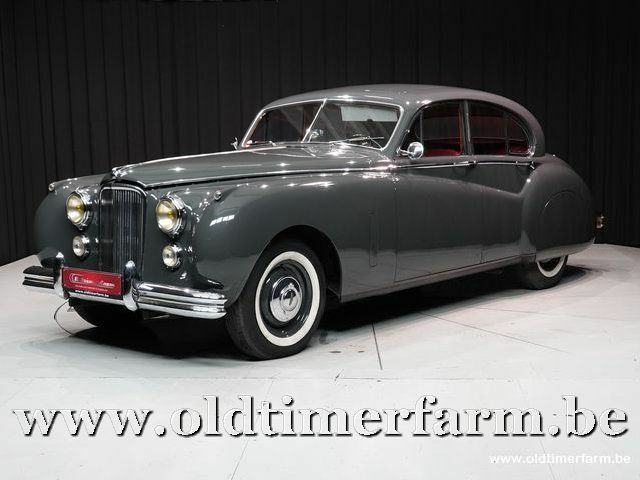 The Jaguar Mark VII was a large four-door sports saloon car launched by Jaguar Cars of Coventry at the 1950 London Motor Show. It replaced the Jaguar Mark V, but as there was a Bentley Mark VI already on the market, Jaguar decided to call the next model Mark VII. A version of the Jaguar Mark V with the XK engine had been designated the Jaguar Mark VI, but it is thought that only two were built. The Mk VII chassis came from the Jaguar Mark V with which the Mark VII shared its 10 feet (3,048.0 mm) wheelbase. But for this latest offering Jaguar designed a modern and streamlined looking body, featuring fully integrated headlights and mudguards along with an increased rear overhang which gave the car enhanced presence. As on the Mark V, the upper part of the rear wheels was covered by the body work (properly called spats, and removable for flat tyre wheel changes). In place of its predecessor's flat windscreen, the Mark VII design included a two piece front screen, adumbrating the gently curved one piece screen that would become available with the Jaguar Mark VIII. The predecessor model had been powered by an engine of prewar design, originally developed by the Standard Motor Company. The Mark VII featured the remarkable newly developed XK engine first seen in production form in the 1948 XK120. The 3442 cc straight-six engine provided the same 160 bhp (119.3 kW) power output in this application as in the Mark VII's sports car contemporary. Despite its size, a top speed in excess of 100 mph (160 km/h) was claimed for the Mark VII. During its development period it was clear that the car would find most of its customers overseas, thanks both to government policy and a car tax regime at home which heavily penalised buyers of cars with larger engines. The published performance figures required use of the standard 8:1 compression ratio, but this was unsuitable for the reduced octane Pool petrol which was the best publicly available to UK motorists, and it was possible to specify a reduced 7:1 compression ratio when only "poor grade fuel" was available. British motoring magazines such as The Autocar testing the car's performance for their readers overcame this problem by taking the test car to Belgium where 80 octane fuel was available and where the "autoroute" linking Ostend to Brussels was at that time straight enough and a section of it at times empty enough to permit measurement on a public highway of the car's performance. The Jaguar Mark VII's arrival coincided with some relaxation of the desperate economic situation that pervaded Britain after the Second World War. 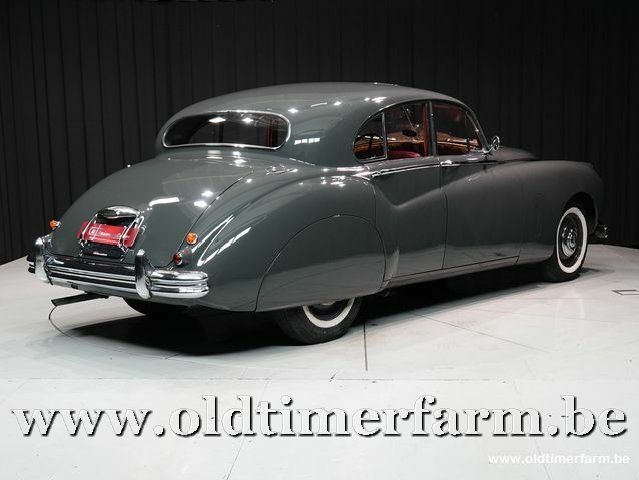 Already in 1951 the enthusiastic reception of the Mark VII in the UK and US markets was given by the company as the reason for their relocation to larger premises, in a plant built for wartime production as a so-called "shadow factory" and now available for immediate use. By the time of the Mark VII's 1954 upgrade, 20,908 had been produced.